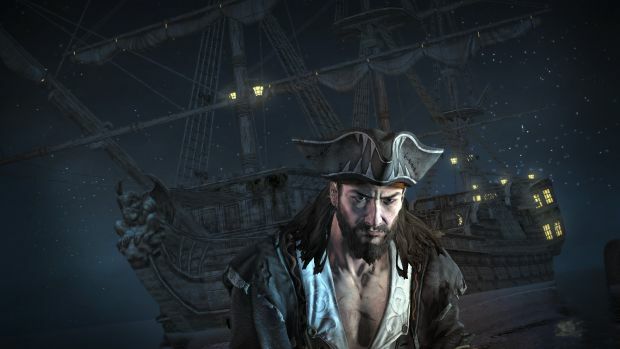 With the recent release of Risen 2, we saw a rare, solid swashbuckling game for those of us who love to go a’ pirating. Well, pirate fans may be in for another unexpected treat with the upcoming Raven’s Cry, which TopWare briefly showed off six months ago. Raven’s Cry is set to be a much different game than Risen 2, with slightly more straightforward combat (it doesn’t purport to be an RPG) and a decidedly darker tone. Pirates are, after all, a rather villainous lot. I had a brief, hands-off look at some gameplay and I’ve a better idea of what developer Octane Games is going for with their piratical voyage. Get ready for murder, brutality and concentrated vengeance. Also, ships! You’re put into the old timey, 17th century Caribbean boots of Christopher Raven who is something of a pirate stereotype if only for the hook on his arm. Raven’s Cry doesn’t just gloss over this as a cosmetic issue, however -- it’s integral to the story, as well as to the gameplay. Flashbacks, which are rendered in a pretty motion-comic style, begin illuminating, briefly, trauma from Raven’s childhood. As a boy, Raven’s small island was pillaged by pirates who killed everyone except for Raven in order to perpetuate their legend and reputation. They also took Raven’s hand, either for a good luck key chain or to lend his story some credibility when out and about. The infamous pirate captain Neville the Devil and his crew are culpable, and the young Raven grew up with the intent of getting revenge on every last perpetrator, which is where we find our main character when the game begins. Raven’s Cry is set to be a fairly linear, narrative-driven game in the eight to ten hour action-adventure mold, with a few optional sidequests that can be picked up in any of the game’s busy cities. I got to see Raven heading to Port Royal, which felt fairly lively, with NPCs carrying on their own conversations and scripted events popping out of the woodwork at select points. Raven won’t be able to interact with the majority of these sorts of things, as much as I wanted him to be able to, particularly when a woman ran out of a building screaming in terror and a man pursued her and dragged her back in. Still, it’s sensible, as Raven isn’t exactly a paragon of moral authority and that time (particularly with those unsavory characters) was no time to interfere with other peoples’ business or you’re provoking a lot of enemies. Speaking of scripted events, at one point a bunch of loud mouthed drunkards impeded Raven on the street and I got to see his combat prowess first hand. Combat seemed decidedly slower pace than some sort of hack n’ slash title, with a focus on parrying and execution-style kills. Raven’s inventory is mostly displayed on his person -- the weapons and the like he is holding -- in an attempt to minimize the HUD. In addition to his sword he had two loaded flintlocks on his back, one of several different period guns making an appearance. As it was back then, ammunition and gunpowder are scarce, making ranged weapons important enough to conserve and making them useful for changing the tide of a fight. Flintlocks can also be looted off of dead bodies. Along with the guns and sword is the hook, which can be used in defense or to attack. Additionally, there are blue prints for new types of hooks that can found and used; for example, there is a straight blade hook adaptation that is great for offense but lacks defensive capabilities, whereas the standard crooked hook is great for grappling and defense. My favorite thing so far is the visual flair. I got to see various locales that will be in the game, including the seedy Port Royal, more prim and proper, English-inspired St. Johns, and the super classy and gorgeous Havana which has absolutely stunning water that made me yearn for a tropical vacation (or any vacation … ). Obvious attention has been paid towards both detail and an accurate recreation of the architecture in the various locales during those times, which adds decent character to the different cities, though I didn’t get to see them fully explored. 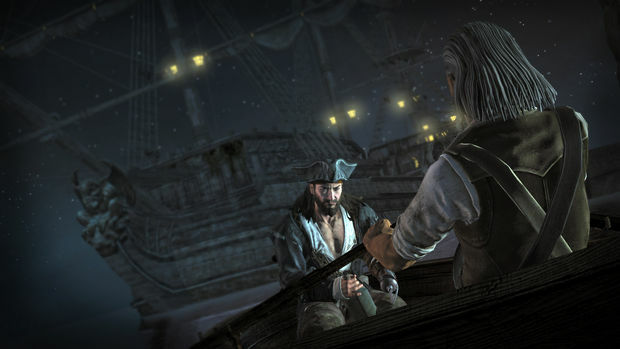 The game also employs the ever popular dialogue options, though there is no morality system; choices are typically bad, or worse. When Raven went to talk to the belligerent Pete the Lark in the Pugilist Pub, for example, you’re afforded the option to point your gun at Pete’s groin and threaten him, or to simply pull out your knife and stick it through his hand and the table beneath. And that wasn’t even the (potentially) worse thing to happen to poor arrogant Pete. As a pirate, Raven is going to do some untenable things, as he’s basically the same as the people he’s seeking to kill, which could provide an interesting look at obsession and revenge if handled well. 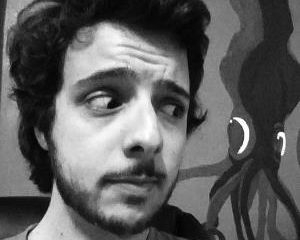 While its left vague so as to not inform or alter your gameplay decisions, I’m told that how you handle a situation can come back to haunt you (or perhaps even benefit you) in both subtle and overt ways. 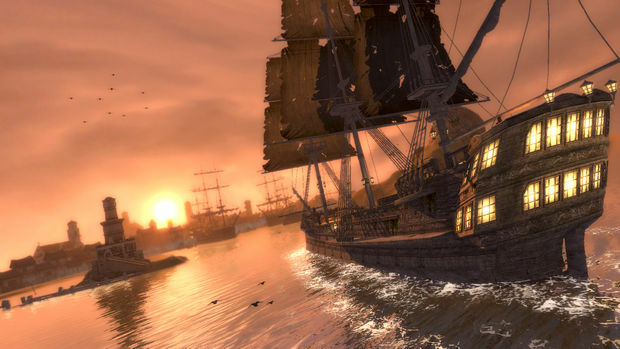 Along with the third person action gameplay and dialogue bits, Raven’s Cry will boast sailing and naval battles. I didn’t get to see any of them in action, but I’m told they will be a bit more historically accurate, in that ships will fire off a big volley of cannonballs at each other and the more damaged ship will acquiesce (basically, it’s a big posturing contest) and be boarded. I’ve always been disheartened by the lack of good pirate games, but between Risen 2 and now Raven’s Cry, it feels as if someone is paying attention. The locales are tropical and gorgeous, but with comfortable familiarity, and the darker take on the pirate genre could prove interesting -- especially when the main character is an unlikeable sociopath. Or a tempered moralist who validates his terrible behavior, depending on how you’re playing.